Singing I love rock 'n' roll so, put another dime in the jukebox, baby! I love rock 'n' roll so, put another dime in the jukebox, baby! 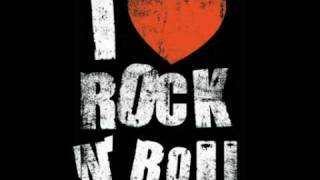 I love rock 'n' roll so, come and take the time and dance with me! I love, I love, I love, I love, I love, I love, I love, I love. I love, I love, I love, I love.